The Arctic Fox (Alopex lagopus or Vulpes lagopus), also known as the White Fox or Snow Fox, is a small fox native to cold Arctic regions of the Northern Hemisphere and is common throughout the Arctic tundra biome. The Arctic Fox lives in some of the most frigid extremes on the planet. Among its adaptations for cold survival are its deep, thick fur, a system of countercurrent heat exchange in the circulation of paws to retain core temperature and a good supply of body fat. 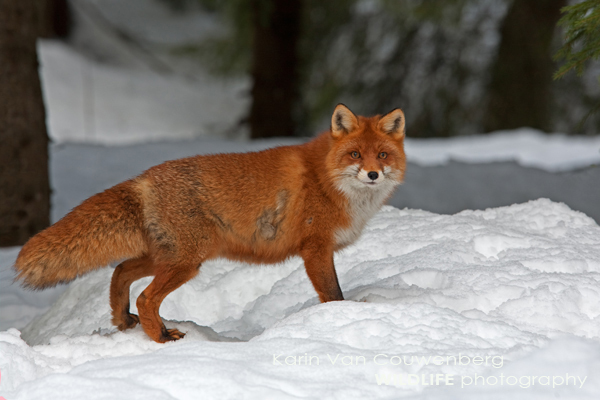 The fox has a low surface area to volume ratio, as evidenced by its generally rounded body shape, short muzzle and legs and short, thick ears. Since less of its surface area is exposed to the Arctic cold, less heat escapes the body. Its furry paws allow it to walk on ice in search of food. The Arctic Fox has such keen hearing that it can precisely locate the position of prey under the snow. When it finds prey, it pounces and punches through the snow to catch its victim.